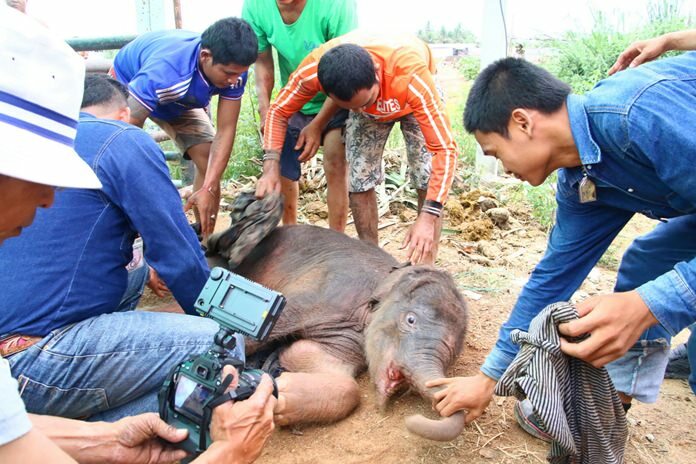 A Nong Nooch Tropical Garden employee was hurt while rescuing a newborn elephant from its rampaging mother. 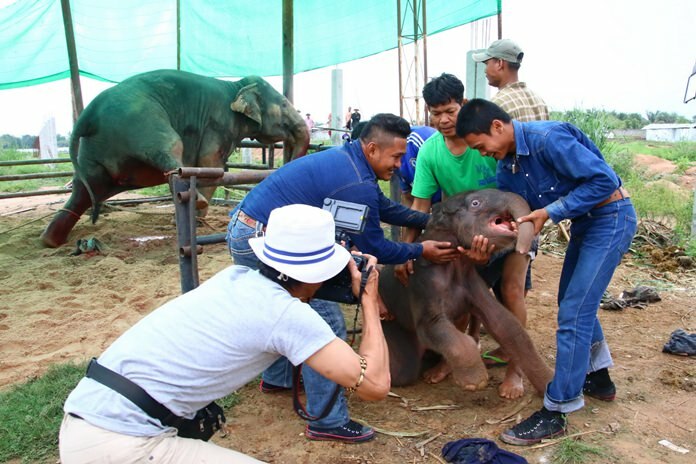 A Nong Nooch Tropical Garden employee was hurt, but workers were able to bring the frightened newborn elephant to safety away from its rampaging mother. 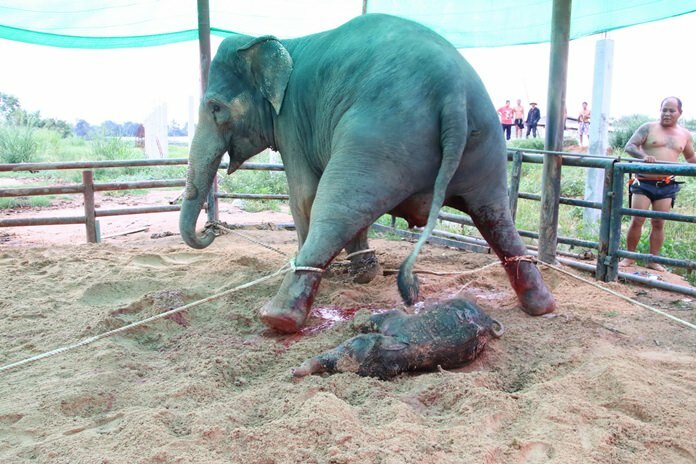 Park Director Kampol Tansajja said 16-year-old Spai went through three days of painful labor before giving birth. The cow was highly agitated as blood oozed from her body before finally birthing the calf. But the distressed mother immediately went into a frenzy, trying to lie on the newborn that caused her so much pain. A park employee rushed in and pulled the calf to safety, but was injured by the rampaging mother. Kampol said both mother and baby are healthy, but will be separated for some time.